Fine dust is one of the greatest health risks today – many people die every year from the consequences of contaminated air. The exposure to dangerous contaminants is particularly high in cars. Why? In dense traffic, at traffic lights or in traffic jams, the fine dust enters the interior cabin through the ventilation system and is breathed in by passengers. Our micronAir cabin air filters in OE quality offer optimal protection to customers in the independent aftermarket. Freudenberg is the inventor of the cabin air filter and remains the market leader in original equipment cabin air filters for vehicles. In this way, we have been reliably ensuring the comfort and well-being of drivers and passengers for decades. have evolved in past 30 years. filters out hazardous, ultra-fine dust particles that can cause respiratory and cardiovascular disease as well as asthma. Effective protection against fine dust, road dust and industrial dust as well as soot, pollen and bacteria. protects against carcinogenic fine dust like a particle filter. The combi-filter with activated carbon also adsorbs irritating odors and harmful gases, such as benzene or ozone. Effective protection against fine dust, road dust and industrial dust as well as soot, pollen and bacteria and irritating gases such as ozone, benzenes and odors. nearly completely eliminates all fine dust particles that are typically found in the lungs and keeps away allergens as well as the smallest microorganisms, such as molds. The filter binds contaminant gases and filters irritating odors out of the fresh or circulating air. Effective protection against fine dust, road dust and industrial dust as well as soot, pollen and bacteria. Also irritating gases such as ozone and benzenes as well as allergens, molds and microorganisms." micronAir cabin air filters will convince you with their consistently high filtration performance over the entire period of use. 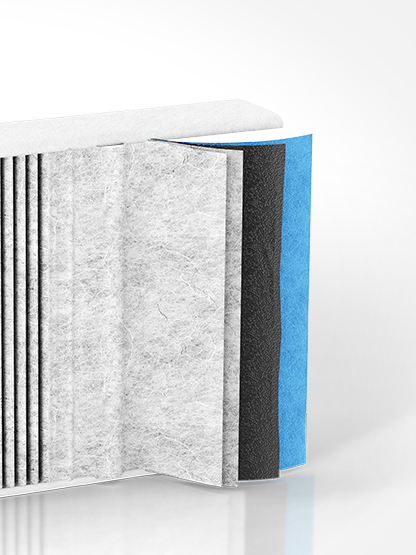 Separated particles are reliably trapped in the micronAir cabin air filters. micronAir cabin air filters feature high heat resistance and are fully usable at all temperatures between -40°C and 85°C. micronAir filter cartridges and housing seals are designed to be free of leaks and keep particles from entering the climate control system. micronAir cabin air filters optimally supply the cabin interior with fresh air over their entire lifespan and under all operating conditions. In comparison with competitor products, micronAir cabin air filters impress with very high mechanical strength and resistance. micronAir cabin air filters are water-repellent and therefore cannot serve as breeding ground for microorganisms. Based on the individual requirements, our experts adapt the cabin air filter solutions precisely to the vehicle's HVAC system. Would you like to use original-quality cabin air filters in your car? Our sales and distribution partners supply many specialized workshops as well as unaffiliated workshops with original micronAir replacement parts Ask for micronAir cabin air filters at the workshop of your choice! Do you live in Italy? Click here to order your micronAir blue cabin air filter. Important: Change the filters on time! To continuously keep the air in the car as clean as possible, the cabin air filter must be replaced regularly – ideally twice per year, according to the Verein Deutscher Ingenieure (VDI) as stated in VDI 6032. Ideally at the start of spring, when pollen season starts, and again in autumn. The tire change offers a perfect opportunity for changing the cabin air filter. This not only improves driving safety but health protection as well. After all, only a fully functional filter guarantees maximally clean air. A clear sign that the cabin air filter is clogged and not enough air is entering the car. The windows become dirty and obstruct the view. You can hardly feel the cold air despite running at the highest setting? The problem could be reduced air flow, and the solution: change the filter. When irritating odors enter the car through the ventilation system despite activated carbon filter, it is high time to replace the filter. 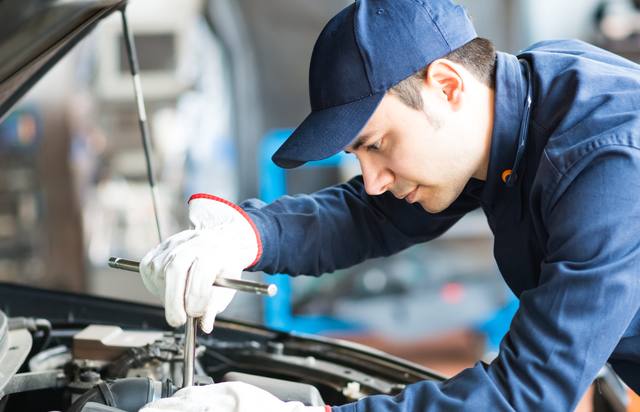 The current VDI 6032 guidelines drafted by a voluntary VDI committee, define, among other things, hygiene and maintenance requirements for HVAC systems and air treatment systems in cars. In general, VDI 6032 calls for the use of cabin air filters in passenger vehicles. Freudenberg Filtration Technologies was the only filter manufacturer represented on the guidelines committee. The filter specialist made its extensive expertise available to this working group. Depending on the ventilation system in the car, the filters can be used in various ways: In vehicles with an air-conditioner, VDI calls for the use of a cabin air filter (particle, combi or allergen/fine dust filter) for purifying the outside air. VDI also urgently recommends cabin air filtering even for systems without an air-conditioner. In general: Ventilation systems must not make the air quality worse when operated. This means that, in addition to the design requirements on the ventilation system, the use of a cabin air filter is necessary. VDI 6032 stipulates a minimum arrestance efficiency against particles. The high filter performance ensures that the air directed into the cabin is largely free of particles. It also significantly reduces the risk of dirt collecting on the components. During maintenance of the filter and the HVAC system in the car, the following points must be noted according to VDI 6032: Reliable and easy installation of the cabin air filter by qualified technicians and proper cleaning of the air intake duct in the vehicle. In addition, the date of the last filter change must be visibly documented. A cabin air filter should be designed such that the mechanical stresses during installation as well as operation do not impair the functioning of the filter. This requirement is met primarily by manufacturer-tested original parts. The guidelines can be obtained from Beuth Verlag, Berlin. Expolit your full sales potential with us now!